Generations have changed indeed as there are unusual, unfamiliar, and unique fashion statements as of today. Technical Educational and Skills Development Authority or TESDA has yet again, prepared something related to this ever changing trends in our society. Check out this Dress Making (Casual) NC II in the Philippines. This is a short TESDA course that will guide you or teach you in drafting, cutting, and sewing fabric and making them into casual apparel like blouses, dresses, skirts, pants, and shorts. A weekday class schedule from Monday to Friday which will last for roughly 3 months and starts at 8am until 12nn. Requirements, on the other hand, is based on the different schools and training centers. Each school has their own set of requirements upon enrolling in any of their programs. We suggest you contact them or visit them personally for their complete list of admission requirements. Qualified graduates of Dress Making (Casual) NC II can find employment either as a dressmaker, seamstress/seamster / tailor or a garment sewer at apparel companies, garment manufacturers, fashion design shops or studios and some boutiques. 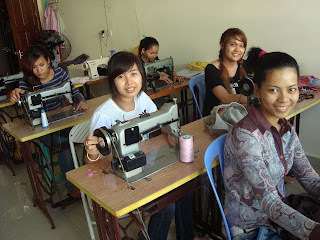 Graduates may also start their own business or work from their homes – offering their services starting from (1) the reparation and alteration of clothes (2) teaching basic sewing skills to (3) sewing uniforms, be it office or school uniforms, pillows, long curtains, pets’ clothes and/or dolls’ clothes, costumes for cosplays, or tote bags, among the others. Variety of skills will be learned under this program and they are guaranteed helpful for people who are interested in pursuing a career such as Fashion Designing. Examples of those skills are: Tailoring, Sewing and Pattern-Making Skills. With numerous free online sewing patterns and DIY (Do-it-yourself) tutorials in fashion and decoration, a lot of women with interest in sewing for personal or home use have been attracted. Students who are enrolled in Dress Making (Casual) NC II course might be required to undergo a Competency Assessment at any TESDA-Accredited Competency Assessment Center for Dress Making NC II before the graduation. A National Certificate (NC II) will be issued to students who will manage to pass this assessment.